This year Intense Cycles plans to unveil numerous changes to its venerated line of mountain bikes, but the introduction of this all-new, 27.5-inch-wheeled Spider 275C could be one of the most talked-about revisions. 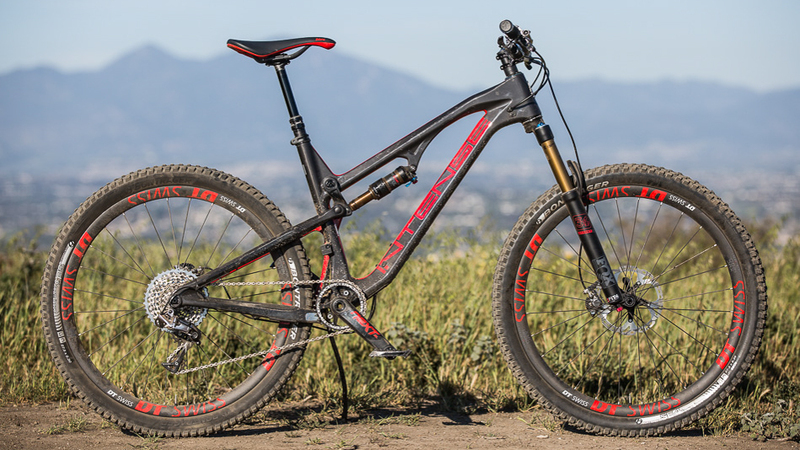 While Intense launched an aluminum version of the Spider 275 during the summer of 2015, this new, 130-millimeter-travel carbon model features updates that bring the bike firmly into the contemporary “long and low” geometry camp. Although I immediately applauded changes such as a lengthened toptube, slacker head angle, shortened chainstays and lower bottom bracket, I wondered how the smaller-wheeled model would stack up against the company’s Spider 29—a bike I’d really enjoyed riding during the 2016 Bible of Bike Tests in East Burke, Vermont. It was going to take some convincing, especially given my affinity for 29ers in the short- to mid-travel range—the area in which many 29ers routinely outshine smaller-wheeled models. While the jury is still out over whether the Spider 275C is more capable than its 29-inch counterpart, one thing was clear from the very first ride: The Spider 275C is more nimble and playful, its smaller wheels and shorter, 16.5-inch-long chainstays making the bike much more maneuverable and snappy. 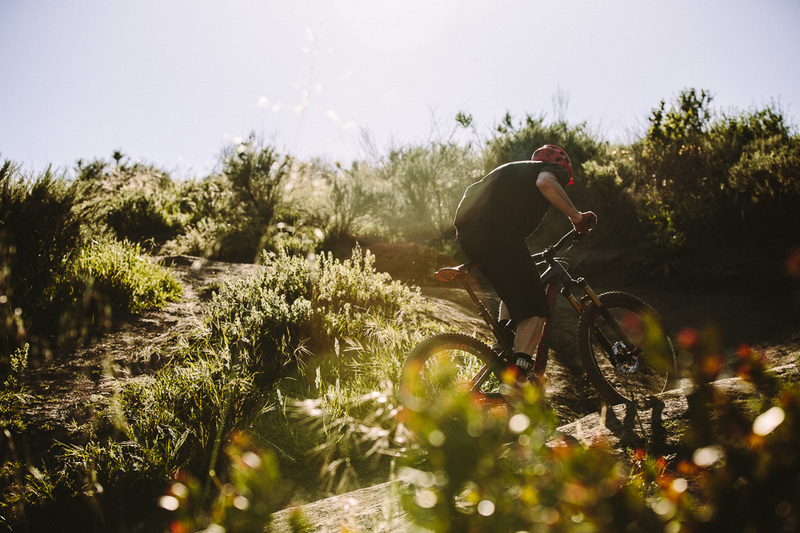 In sections of trail with tight, twisty turns and short, punchy ups and downs, the Spider 275C instantly felt right at home, nipping around the steep, tucked-in switchbacks of Laguna’s terrain with surgical precision. And though I’d typically prefer to tackle long, steep climbs on a shorter-travel 29er, I was continually impressed with the Spider 275C’s climbing ability—to the point where I even found myself humming “The Itsy Bitsy Spider” on Laguna’s interminable, sun-baked fire-road climbs. I felt the Spider’s sensibly slack 67-degree head angle to be a fair compromise between climbing and descending duties, yet I rarely felt the front wheel wander on steeper climbs, thanks in part to the balanced seated body position afforded by the 72.5-degree seat angle. 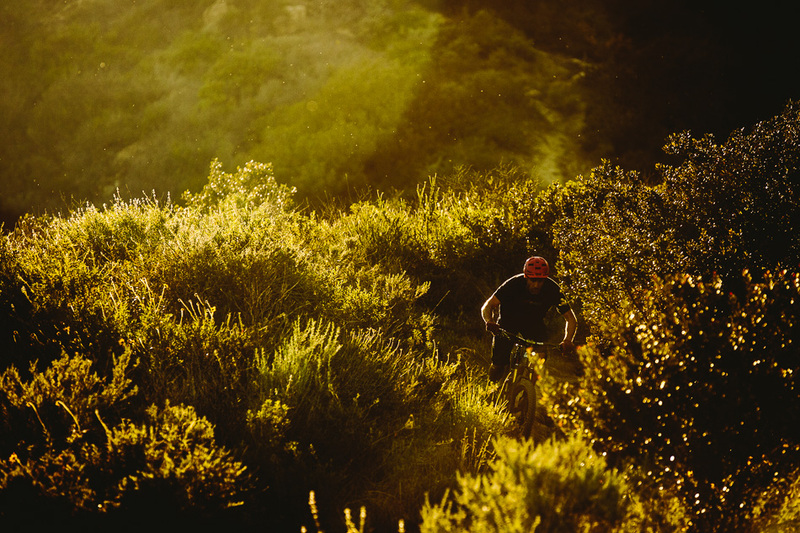 It was only in the steepest sections that I’d be tempted to inch out of the saddle to shift my weight further forward, and I was usually rewarded with a tenacity that could have left me singing, “and the itsy bitsy spider climbed up the trail again”. Adding to the bike’s climbing efficiency is the stiff pedaling platform afforded by the VPP-esque, “JS Tuned” rear-suspension design (the ‘JS’ stands for Intense founder and designer, Jeff Steber). The bike’s sure-footed pedaling characteristics, coupled with its stiff carbon frame, made the Spider 275C a relentless climber on both in- and out-of-the-saddle efforts. The rear suspension’s small-bump compliance was an added boon during technical climbs, and I tended to leave the Fox Factory Series Float shock wide open on everything but the smoothest fire-road ascents. The Spider 275C’s rear suspension can be adjusted between 130 millimeters and 115 millimeters by changing the positioning at the shock mount, but the bike performed so well in 130-mil mode I never felt the need to drop it to 115. When pointed downhill, the Spider 275C is remarkably capable, even when plowing through chunky rock sections that could easily call for more than its 130 millimeters of travel. With the Fox Factory Series Float shock wide open, the active suspension drowns out small-bump chatter, giving it a plushness that suggests a much longer-travel bike. This, coupled with the performance of the versatile Fox Factory Series Float 34 fork with a three-position FIT4 damper, often had me forgetting I was on a trail bike. While the Spider 275C’s frame is plenty stout, its lines are still sleek, and it features internal ports for cable routing, including that of the dropper post. Adding to the frame’s stiffness is the Boost 148 rear spacing, which gives enough room to run a 2.35-inch rear tire. This was great news for me, as the ‘Factory Edition’ I tested came with Schwalbe Nobby Nic tires that are not well-suited to Southern California’s typically dry-and-dusty trail conditions. After some sketchy moments in loose turns, I swapped the tires out with a pairing of Bontrager SE4 and SE5 Team Issue tires and never looked back—the traction they afforded was superb. While the Spider 275C excels on technical climbs, it’s not too shabby when descending, with an active suspension design that practically drowns out small-bump chatter. The Factory Edition we tested will retail for $9,500 and comes with a handsome array of parts. In addition to the fork and shock, it boasts a RockShox Reverb dropper post and lightweight DT Swiss XMC 1200 Spline wheels that really help keep the Spider 275C feeling sprightly. The SRAM XX1 1×11 drivetrain with Race Face Next SL cranks delivered crisp, precise shifting, while the tried-and-true Shimano XTR brakes provided all the stopping power we’ve come to expect from the company’s top-of-the-line stoppers. Round this out with a cockpit composed of 780-millimeter-wide Renthal Fatboy Carbon bars and a 50-mil Renthal Apex stem and you’ve got a trail bike you’d be hard-pressed to upgrade. The Spider 275C is available in three other builds: The Pro ($6,800), the Expert ($5,900) and the Foundation ($4,600). There also is a frame-and-shock option for $3,200.